As the regional head of a large multi-national engineering firm, bringing strategies together to plan further company growth has been an integral component of the success of past projects attributed to Bryan’s expertise. Being a University of So. 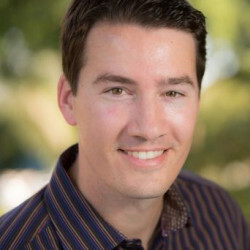 California, USC, and Stanford University Masters graduate with proven accomplishments demonstrate Bryan mastered personnel management skills to conduct our company-wide team building. He melded individual and corporate goals to achieve mutual milestones in overall accomplishment–that is what is on the signposts along the way for anyone in leadership traveling down the road to success while meeting high expectations. On target for high market growth, CODAmeds™ anticipates to quickly become the industry leader inside a specialized segment of prescription drugs healthcare. Within this highly concentrated market with so many avenues to travel, the focus is on opening up a wide route in the national roadmap to target specific demographic areas for the greatest initial impact. Bryan is leading the way. So, teamwork is key with our corporate customers in helping them build their presence in the medical field and the community they serve too. Implementing our program, Circle of Health – It’s about You™ for patients, physicians, providers and partners; CODAmeds™ Dispensers are bridging the gap between everyone within a closed medicine management system. It then enables them to share in maintaining a consistently regular daily dose schedule for the best possible healthcare.